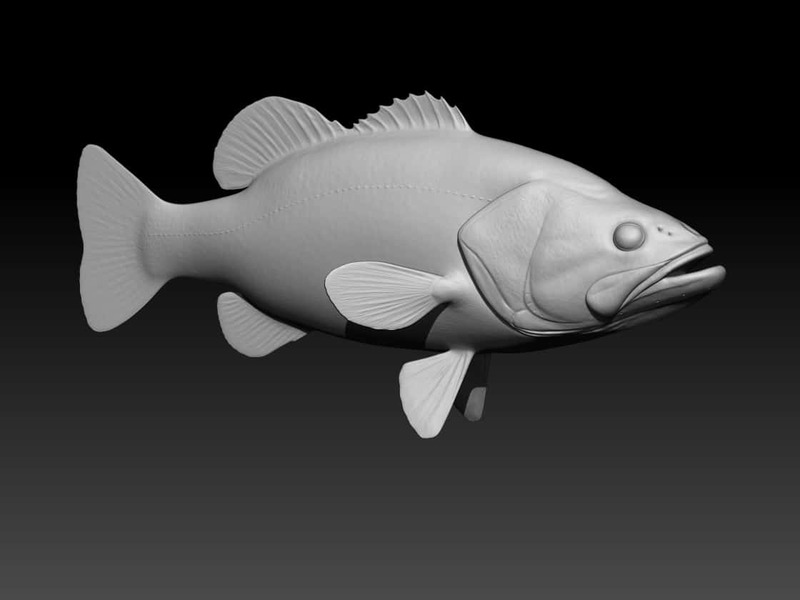 Creating the bass species in Fishing Sim World followed a similar process as described in our article on how we created the pike. 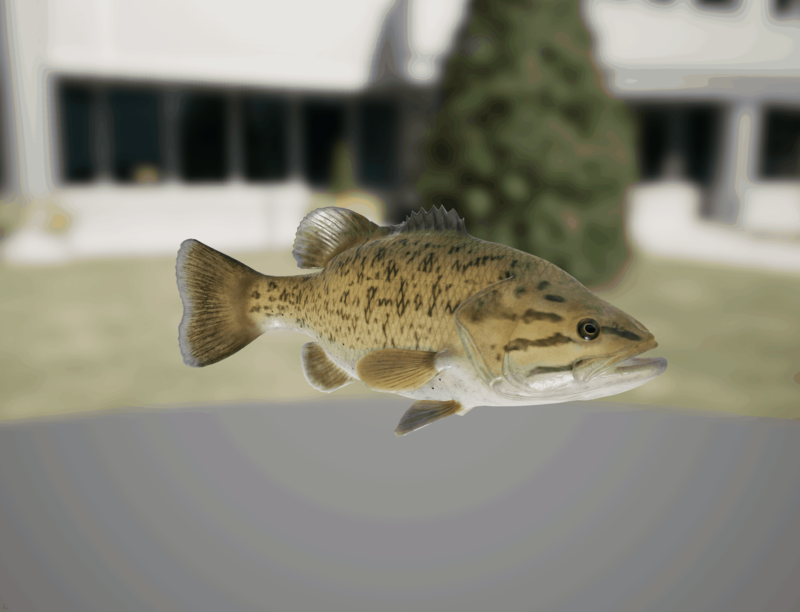 We started with the research, finding out as much as we could about largemouth and smallmouth bass to be able to accurately recreate them in game. 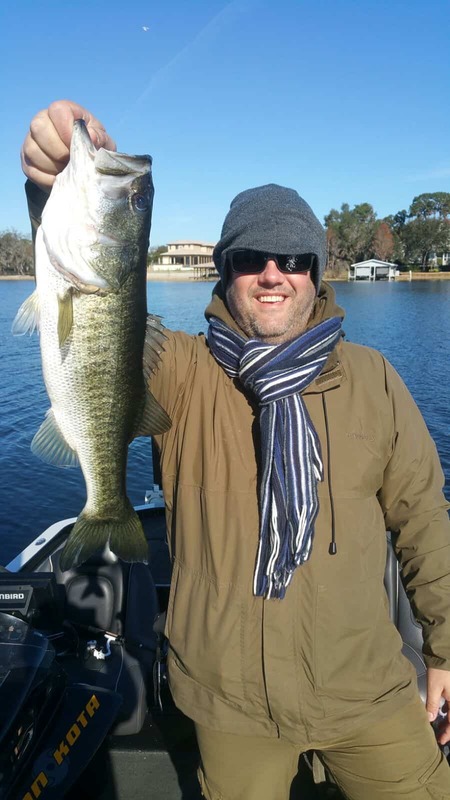 This also included sending a team on a research trip to Florida where we met with Chuck Pippin, a professional angler and guide who took the team out on his boat for them to attempt to catch some bass. 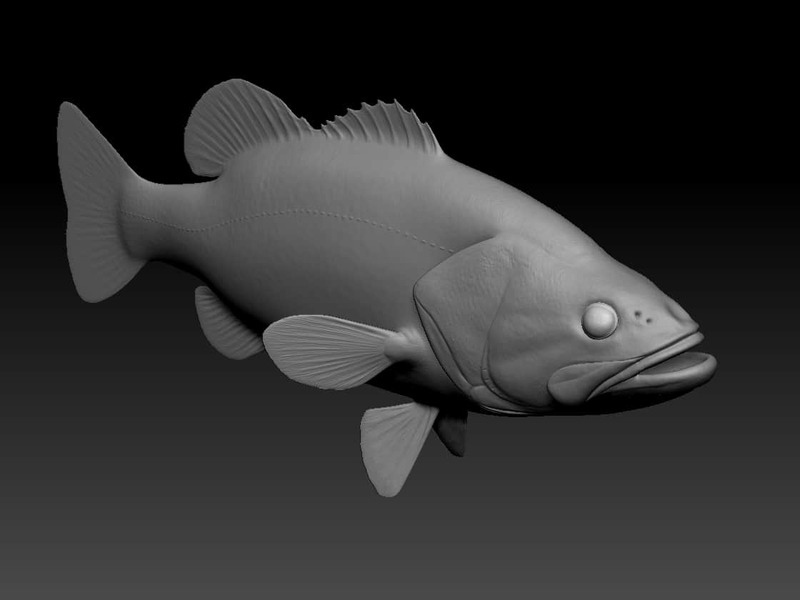 When developing a new fish a basic mesh is created which will act as the base on which the high resolution details of the fish are sculpted. A high polygon model is then produced which the artists have to down-res for it to work in Unreal Engine 4. The model is then UV unwrapped to prepare it for texturing before it is baked. After it has been baked, a number of colour variations will be created. Masks are also made so that random patterns can be added onto the body of the fish. The scales are then added within UE4. The species is then rigged and skinned to make it ready for animation – the joints on the rig are animated which deforms the geometry via the skin weights. Making the fish swim and move in the water. One of our character artists then prepares the model and submits it to the game engine. This allows materials to be created that can be used to manipulate the colour, scales and patterns of the fish. Blendshapes are then made which allow for different varieties of fish in terms of length, weight and features. The videos below will show you different patterns and blendshapes in action, as well as the swimming animation for the fish. The final stage is testing in the engine. Weight curves are set up that tell the game how much each size/blendshape should weigh. The final animations are then brought into the engine, completing the process.